Wonderfully beautiful poem and the graphic is so amazing. I see so much in this poem. 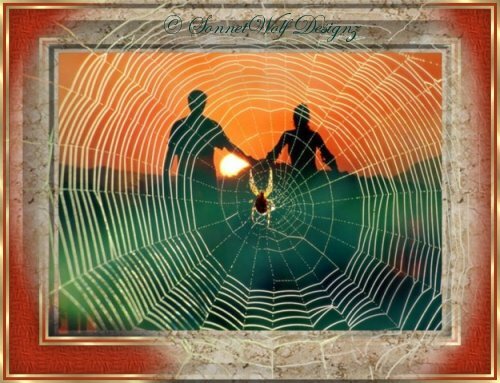 The tangled “web” so many relationships and marriages fall prey to as well as web of love itself from which there is no escape. Once love has you, you can’t get out of it. Or is it the memory of love past that so many of us long for, Well done, great job. or the lips of a frozen song… I love that line.. You are so good at writing these beautiful poems.. I wouldn’t know where to start.